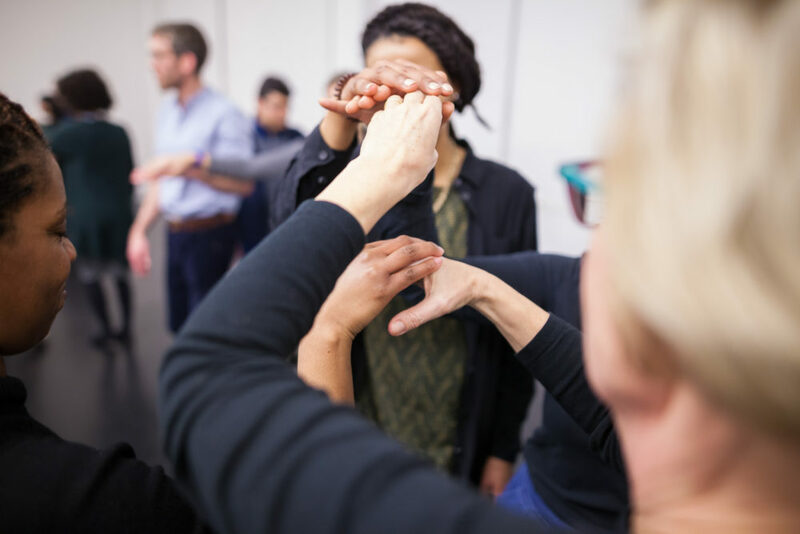 We are thrilled to be collaborating with Barts Health NHS Trust (Barts Health) on an arts-based professional development project which supports staff wellbeing and resilience. This one-year pilot project is being funded by Barts Charity and will aim to equip health professionals with important skills in caring for themselves, their colleagues, patients and their carers. A team of Performing Medicine Associate Artists will lead Barts Health staff in a series of education, training and engagement opportunities, facilitating workshops that draw on a vast range of techniques from the arts. Participants will be encouraged to explore ways to use their bodies and voices for effective communication; to consider their own needs as well as those of the people around them; and to appreciate the stories and experiences of others. This project is in line with the Trust’s strategic plan, focusing on Sustaining Safe and Compassionate Care and its WeCare Values which emphasise the importance of sensitivity to others, staff engagement and the value of collaboration. Since 2001, Performing Medicine has worked with over 14,000 health professionals and students, and has long-standing partnerships with Higher Education Institutions and NHS Trusts across the UK. Performing Medicine is recognised as a sector leader in Arts and Health, cited as an example of best practice in the All-Party Parliamentary Group on Arts, Health and Wellbeing Inquiry (APPG), awarded the Times Higher Award for Excellence and Innovation and written about widely, including articles in the Lancet and Medical Education, the Guardian and the Telegraph.